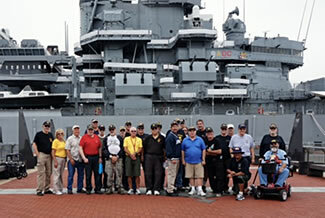 A group of Vietnam Veterans visited the Battleship New Jersey (BB-62) on September 13, 2017. The Light Rail train provided a private train car (non-stop) from Bordentown to Camden. 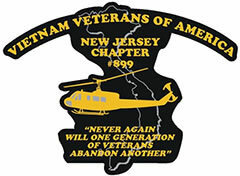 A light lunch was provided by VVA 899. Charles Davies, a life member of Chapter 899 and volunteer on the Battleship for the past 7 years, arranged and coordinated this trip. With a total of 19 Battle and Campaign Stars, New Jersey is America’s most decorated battleship and surviving warship, completing 30 years of service next week!